This morning was the chilliest so far. 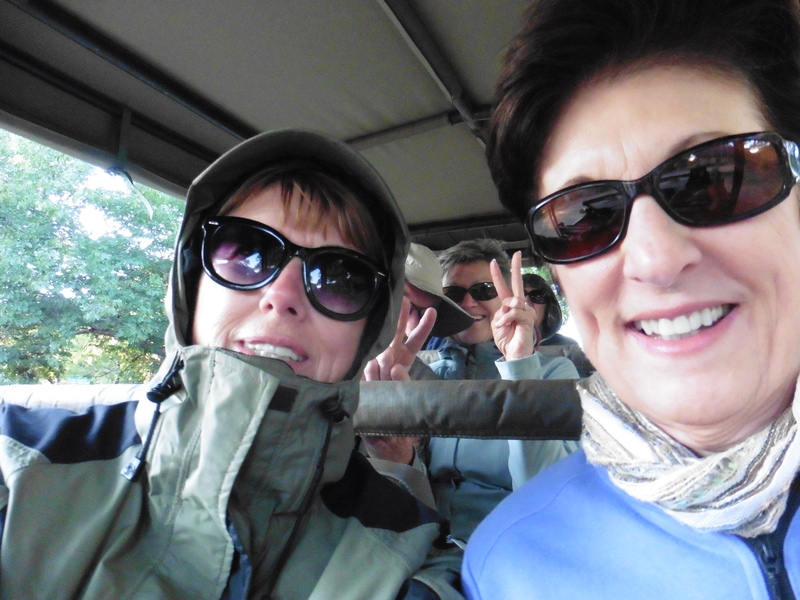 We all bundled up and headed out with Moses, our guide, to look for new animals. 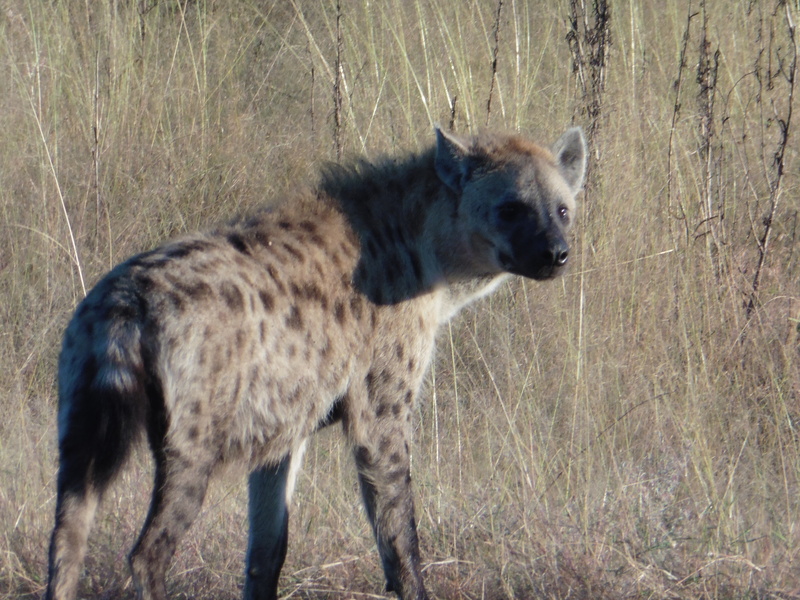 Less than thirty minutes out, another guide alerted Moses to a clan of spotted hyenas. The guides share information with each other on vehicle radios. 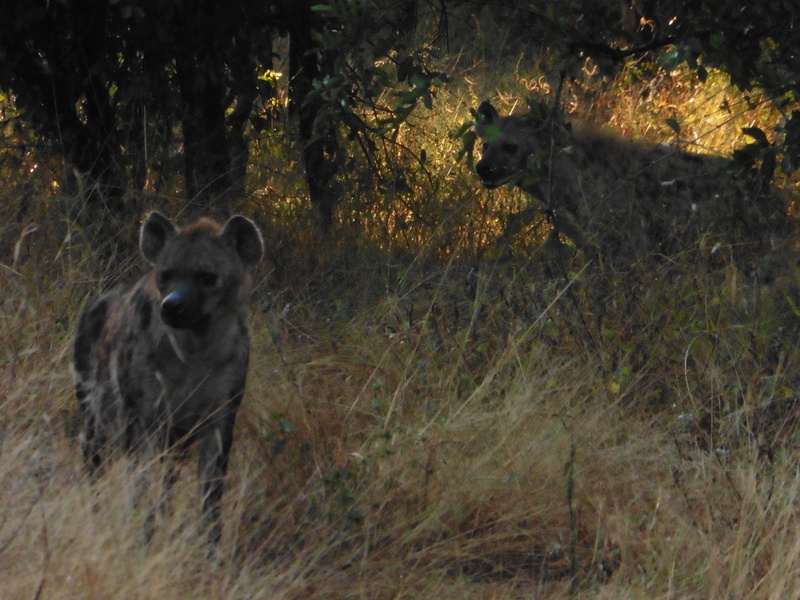 Lucky for us the hyenas were still there when we arrived, and Moses told us it was uncommon to see seven in one place. 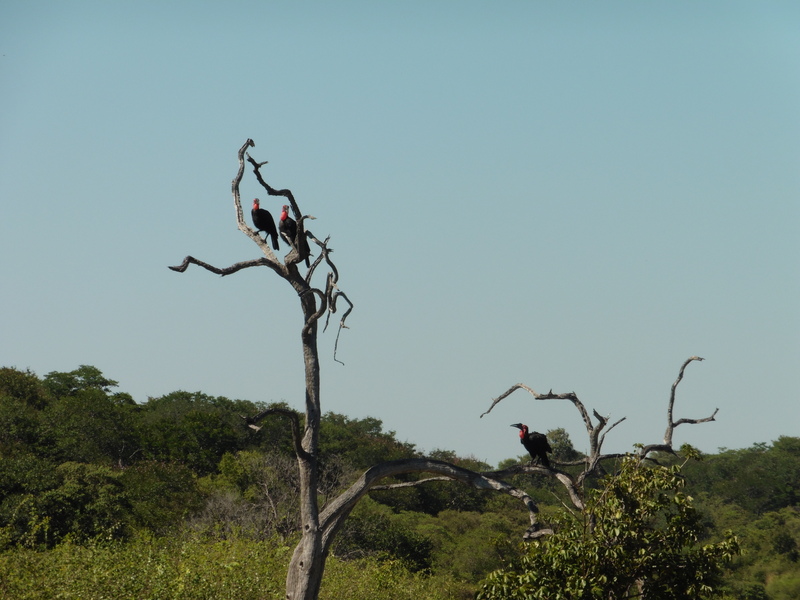 We saw more lions, giraffes, kudus, and impalas. 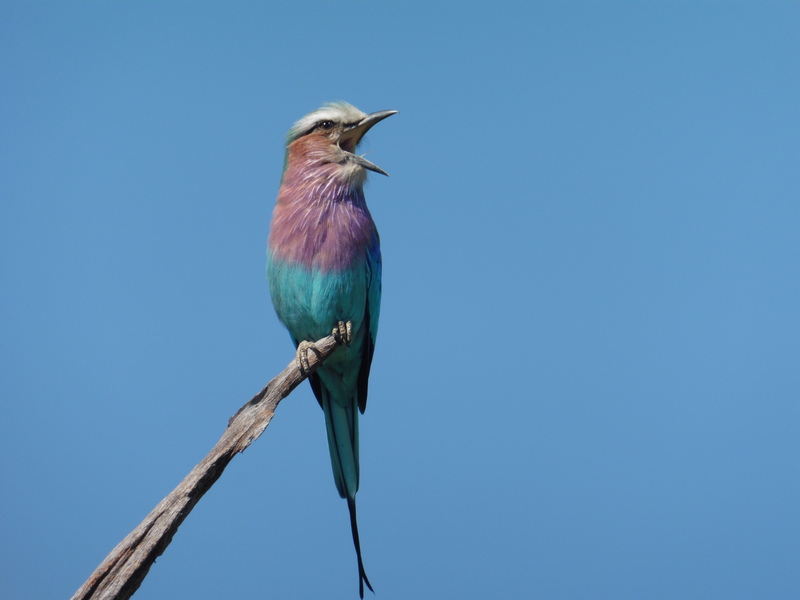 The most beautiful bird we saw was the Lilac-breasted Roller. We encountered an African mystery. 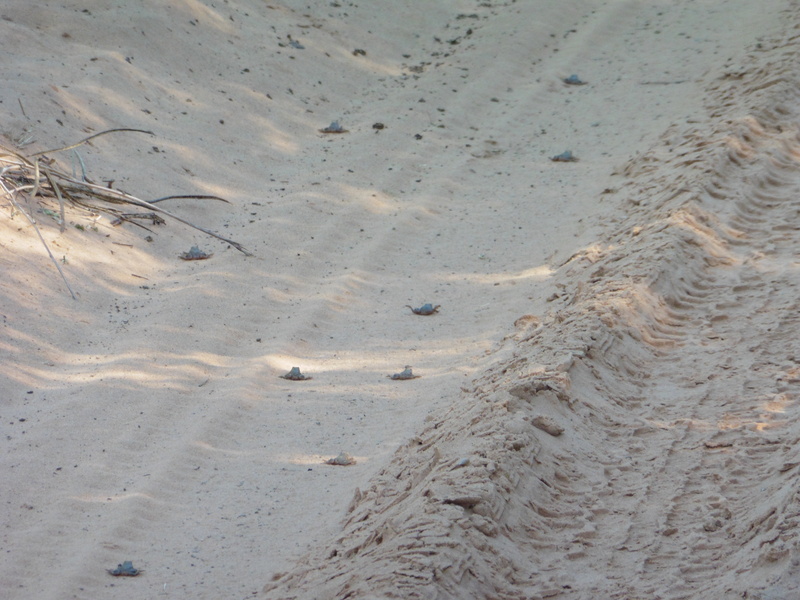 Baby frogs were hopping in a line along a sandy road. Moses said it was perplexing to see them there because there was no water nearby and the river they were moving toward was too far for them to reach before the sun killed them. Even though their journey seemed doomed to fail, Moses drove on the side of the road to avoid running over them. As we got closer to the river the road became strewn with dead baby frogs. After our tea break, Moses and Phanuel had an explanation for the frog mystery. 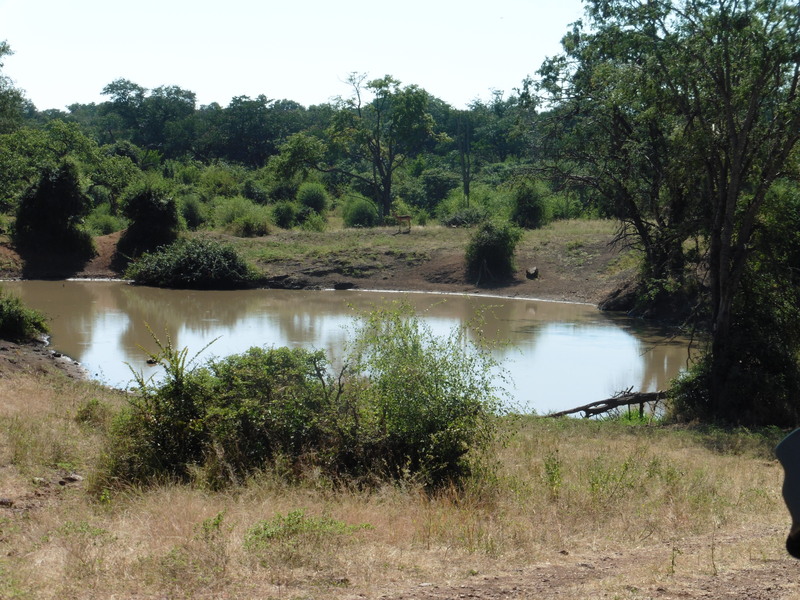 They showed us a water hole that could have been where the frogs started. They thought the frogs knew the waterhole would soon dry up and set off for the river. Sadly, the frogs had no chance of reaching their destination. 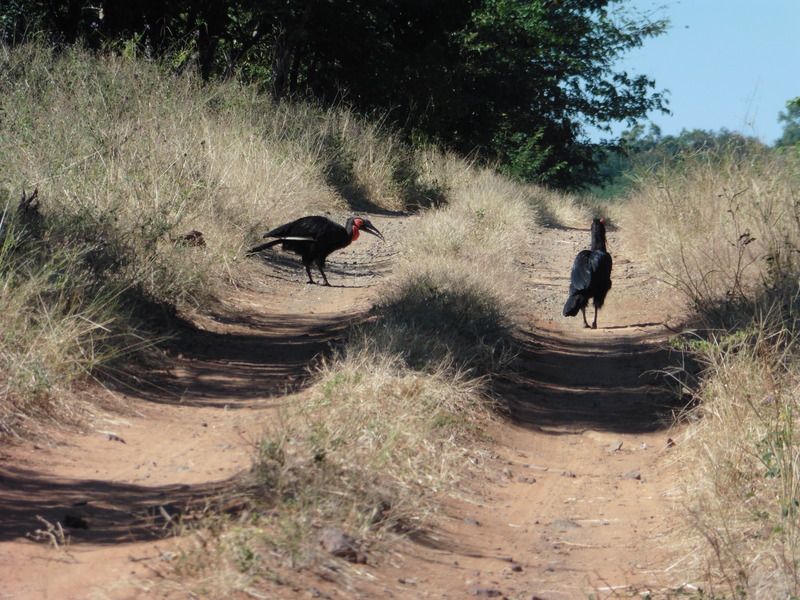 However, in the bush nothing goes to waste, and we soon saw Southern Ground Hornbills eating the dead frogs. 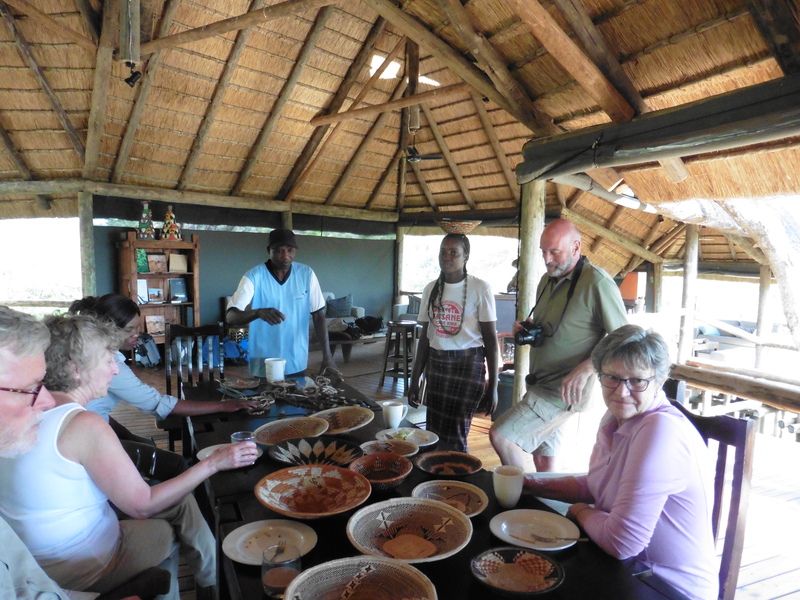 After lunch we went on a backyard safari to learn how the camp functioned. 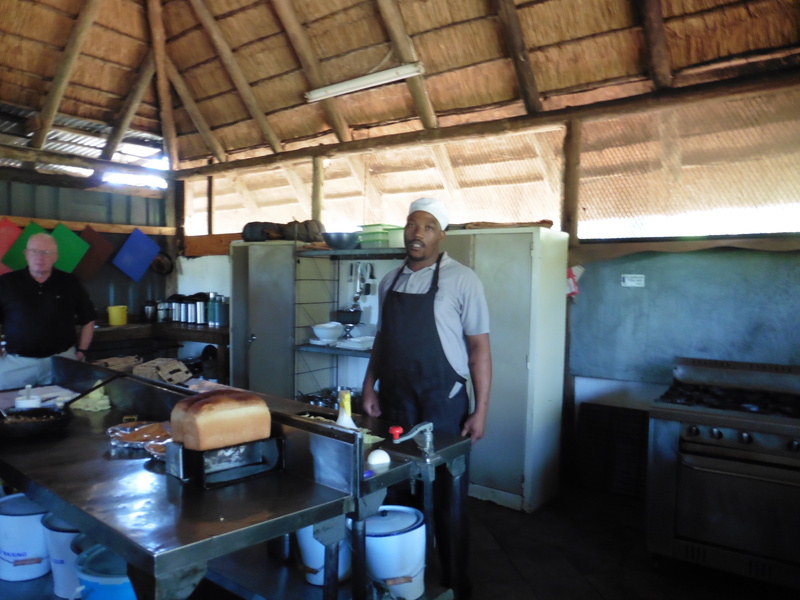 Everything here is done by hand-no washing machines, dryers or dishwashers. The staff wash clothes for us each day, hang them to dry and iron them. “No sun, no dry” and we were fortunate to always have sunny days and find our clothes neatly folded on our beds in the evening. 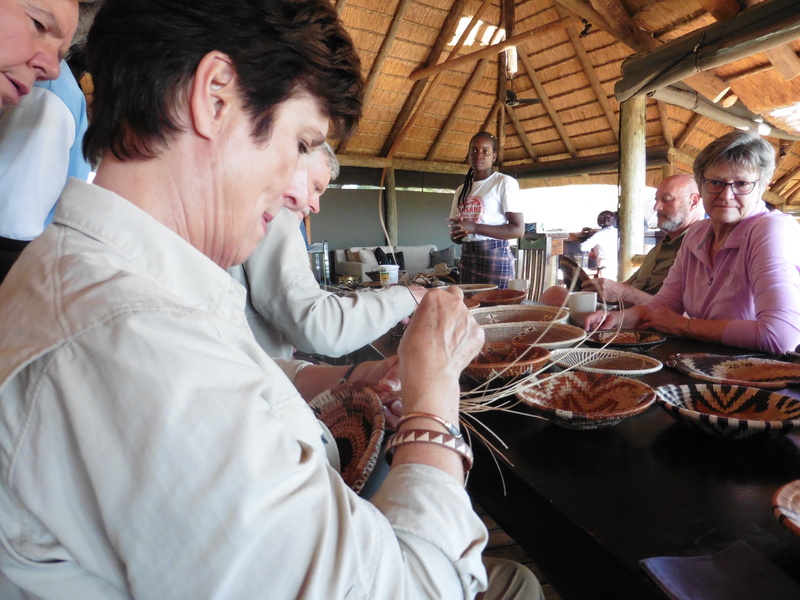 Villagers from nearby Mabele gave us a basket weaving demonstration in the afternoon, and we all had a chance to try this intricate craft. I have a new appreciation for how much time it takes to make one small basket. 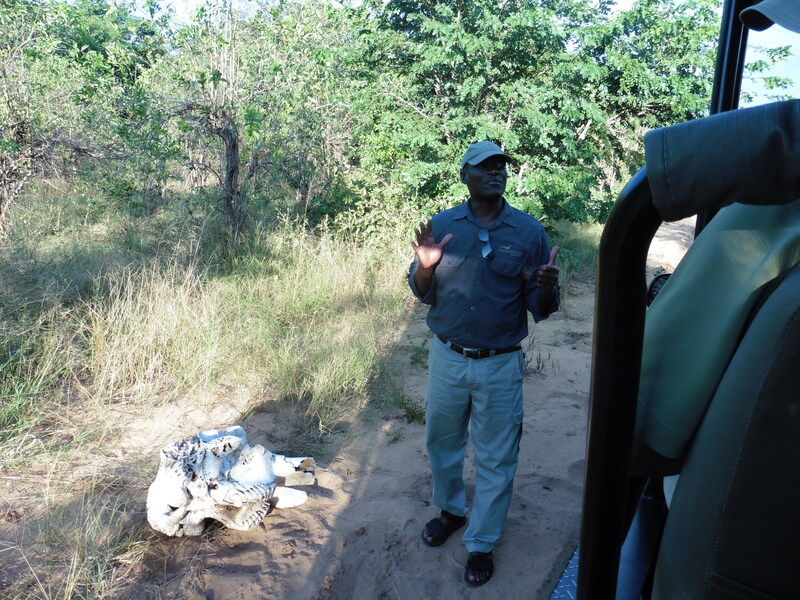 On our afternoon safari, Moses showed us an elephant skull and told us that elephants get six sets of molars during their lifetime. The elephants are very careful to preserve their last set of molars because they know they can not survive without them. 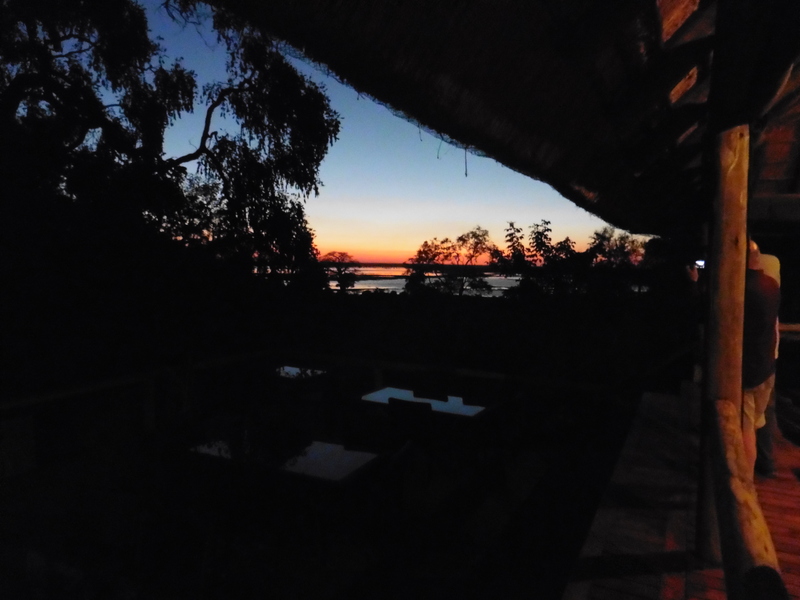 We were rewarded with another beautiful sunset when we returned to camp. This entry was posted in Africa 2018 on May 2, 2018 by debbie.